Welcome to Rapture, where everything is wet, and there's plenty of ADAM and EVE to go around! In this workshop, you'll be learning several useful painting techniques used by the pros as you paint your very own blank copy of one of the iconic masks worn by the Splicers from the game Bioshock. You'll have your choice to either paint a rabbit or cat version of the mask. All materials provided. We will start at 10:00am and continue working until your mask is complete. Outside food and drinks are welcome and encouraged. Suggested ages: 16-116 years old. SPECIAL PLANET COMICON DISCOUNT! This class is sponsored by Planet Comicon which means everyone gets the discounted class price of $80/person! 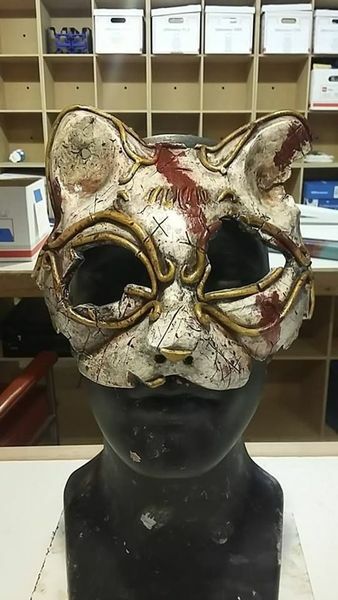 0 Response to "October 21: Hammerspace Community Workshop and Makerspace - "Under Duh Sea": BioShock Splicer Mask (PCC Sppnsored Event)"